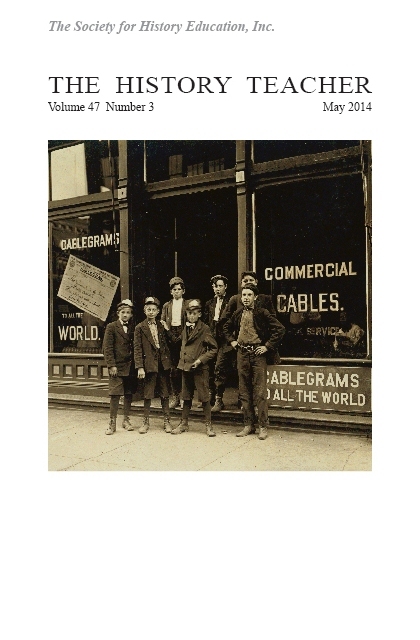 thehistoryteacher.org/M17 Front Cover: [Uncredited] (w), King Ward (p), and King Ward (i), Sheriff Sal: "Trouble Takes a Town!" Western Adventures #1 (October 1948), Springfield, MA: Ace Magazines, [44-49], (1-6), cover image from p. 44. 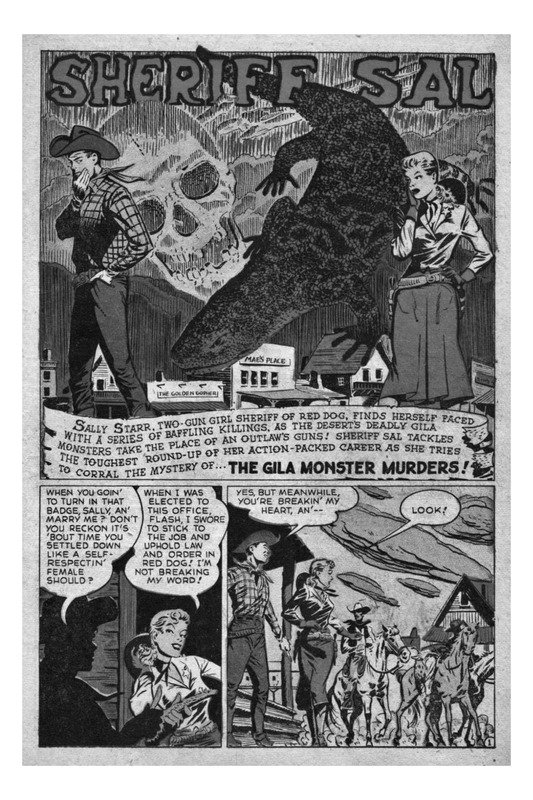 Image and additional information from "Western Adventures  (Ace Magazines)," Comic Book Plus, https://comicbookplus.com/?dlid=23117, [slide 44 of 49]. Back Cover: [Uncredited] (w), King Ward (p), and King Ward (i), Sheriff Sal: "Badman from the Badlands!" Western Adventures #2 (December 1948), Springfield, MA: Ace Magazines, [45-50], (1-6), cover image from p. 45. 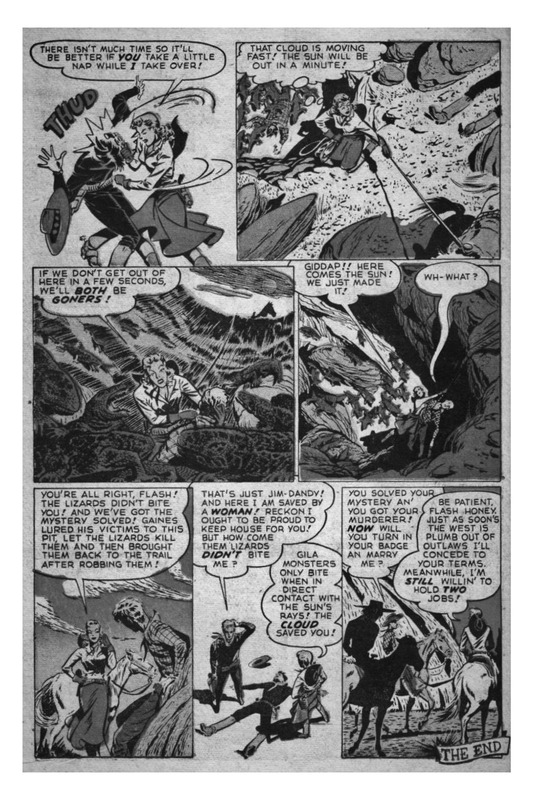 Image and additional information from "Western Adventures  - Version 1 (Ace Magazines)," Comic Book Plus, https://comicbookplus.com/?dlid=23115, [slide 45 of 53]. 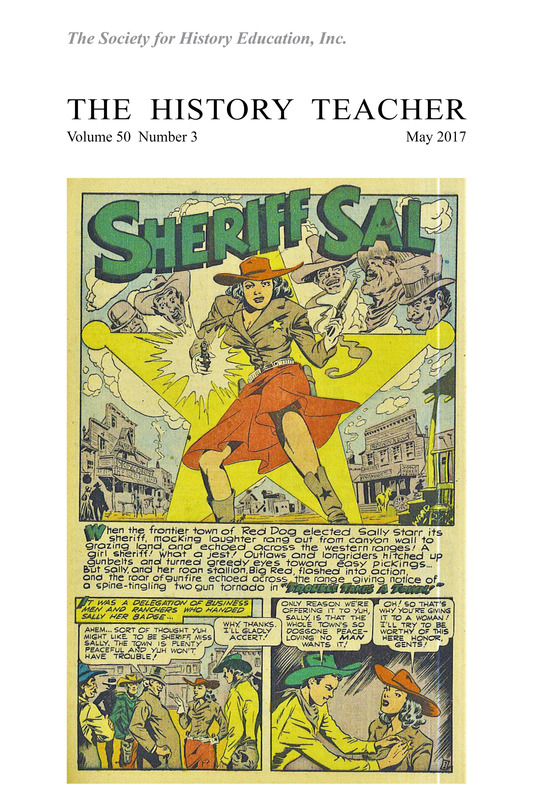 This issue of The History Teacher is decorated with the spectacular tales of Sally Starr, the "two-gun girl sheriff" fearlessly facing mysteries, menaces, and misogyny in the Old West. 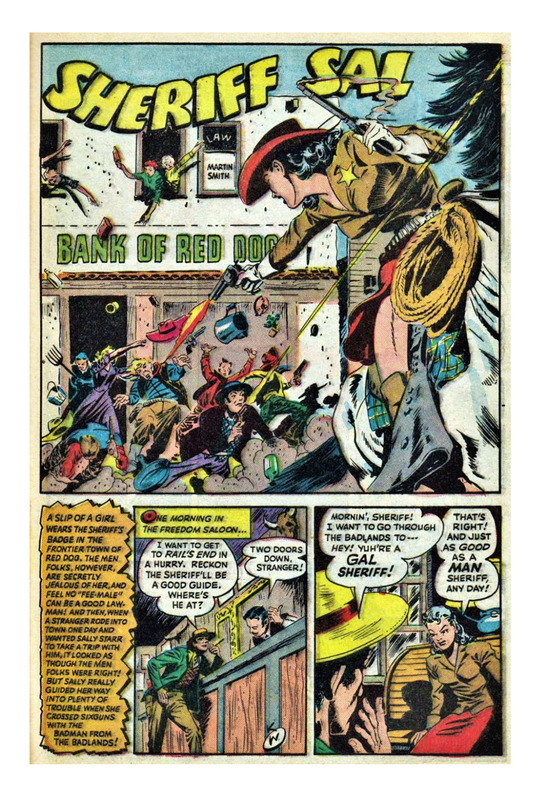 Against all odds and expectations�and against the wishes of her companion and sidekick Flash Gannon�Sheriff Sal refuses to relent, riding to glory in a series of adventures originally published in 1948-1949. These comics are in honor of this extraordinary edition of the journal, which takes an unprecedented look at books published by student authors in lieu of the professional authors regularly featured in the Reviews section. Spanning two issues, this student showcase begins with "The Cleveland Trolley Strike of 1899: Learning History by Creating a Graphic Novel," by James A. Gutowski. 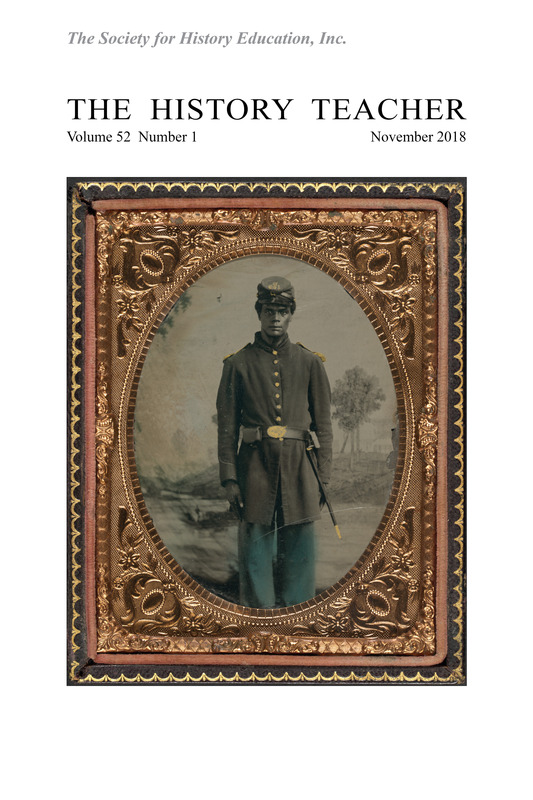 This issue also features the innovative collection, New, Critical, and Re-Envisioned Approaches to Teaching World History, with an introduction by Michael Lovorn, Patrick Manning, and Molly Annis Warsh. Ahmed Ibrahim Abushouk is a Professor of Modern and Contemporary History at Qatar University, and received his Ph.D. in History from Bergen University, Norway in 1998. Before joining Qatar University in 2012, he taught for the Centre for Middle Eastern and Islamic Studies at Bergen University, as well as for the Department of History and Civilization at the International Islamic University Malaysia. Tadashi Dozono completed a Ph.D. in Social and Cultural Studies at the University of California, Berkeley. He currently teaches high school history at Lyons Community School in Brooklyn, New York. His research interests include race and gender in world history education, critical theory, subaltern studies, decolonial theory, queer theory, hermeneutics, and the organizing by queer and trans people of color against institutional oppression. Veronica Dristas is the Director of the University of Pittsburgh Global Studies Center. She is a Ph.D. candidate at the University of Pittsburgh, and has several years of experience as Pitt Coordinator of the Italian Language Program, and Director of study abroad programs in Florence and Bologna, Italy. James Gutowski has been teaching humanities at Gilmour Academy in Gates Mills, Ohio for over twenty years. He earned a Ph.D. in Policy Studies from Cleveland State University, his dissertation tracing the parallel development of public and parochial schools in nineteenth-century Ohio. 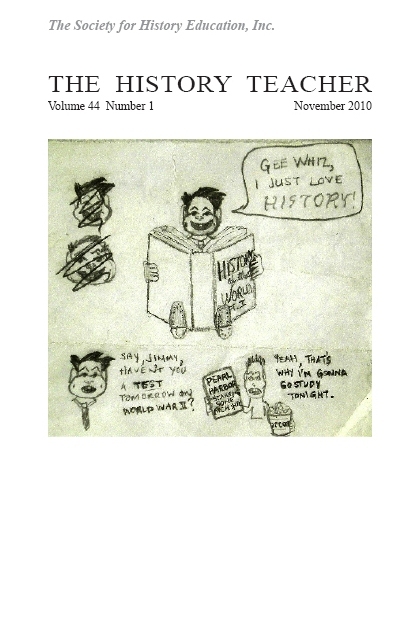 Gutowski specifically incorporates local history into the curriculum to help students to make connections between their own world and the past. Lauren McArthur Harris (Ph.D., University of Michigan) is an Assistant Professor of History Education at Arizona State University, with a joint appointment in the School of Historical, Philosophical, and Religious Studies and the Mary Lou Fulton Teachers College. Her work explores the complexities involved in structuring larger narratives in world history, the historical pedagogical content knowledge of teachers, and the role of sociocultural and personal background on students' historical reasoning. Michael Lovorn is an Assistant Professor of History and Social Studies Education at the University of Pittsburgh. He earned a Ph.D. in History/Social Studies Education from the University of Tennessee in 2003, after teaching high school and middle school history for over a decade. Patrick Manning (Ph.D., University of Wisconsin-Madison, 1969) is Andrew W. Mellon Professor of World History, Emeritus, at the University of Pittsburgh. He served as Vice President of the American Historical Association's Teaching Division from 2004-2006 and as AHA President from 2016-2017. Tamara Shreiner is an Assistant Professor in the History Department at Grand Valley State University, specializing in Social Studies Education. She was a middle and high school history teacher for nine years, and earned a Ph.D. in Educational Studies with an emphasis in Social Studies Education from the University of Michigan in 2009. 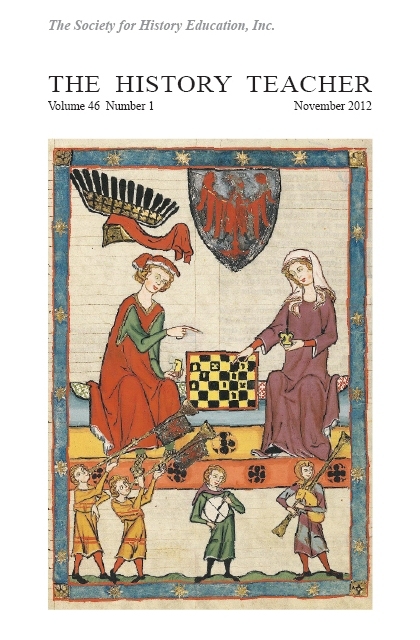 She has published in Cognition and Instruction, The History Teacher, and World History Connected. 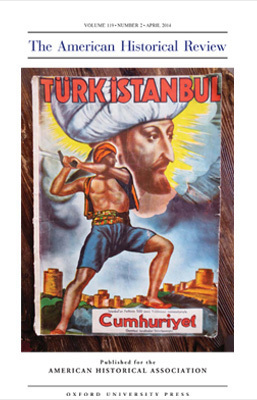 Molly A. Warsh (Ph.D., Johns Hopkins University, 2009) is an Assistant Professor of World History and Interim Associate Director of the World History Center at the University of Pittsburgh. She is co-editor (with Philip D. Morgan) of Early North America in Global Perspective, published by Routledge in 2013, and author of the forthcoming American Baroque: Pearls and the Nature of Empire, 1492-1700.